Every Tuesday from 5:30pm-8:00pm, the terrace of the MCA comes alive with live jazz, picnics and fun. 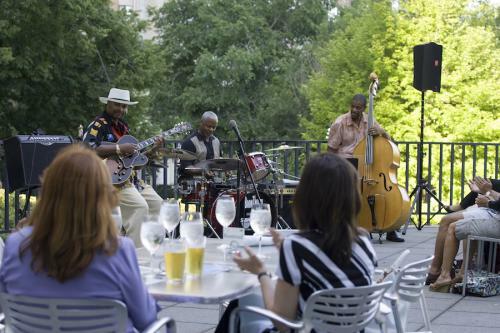 Tuesdays on the Terrace is a free event that offers noted located jazz musicians and garden dining under the summer sun. arrive early to grab a table on the terrace or bring a blanket and lounge on the lawn to listen to the sweet melodies. Outside food isn&apos;t allowed but there is always a range of sandwiches, salads and drinks for sale but line up for food withing the first hour because it sells out fast. The museum is also free during the events so check out exhibits in between sets. Jazzin&apos; at the Shedd features cool views, cool drinks and cool jazz with a backdrop of lively sea animals. Every Wednesday, from 5pm-10pm, live jazz floats around the aquarium along the north terrace. Tickets are $20 and include admission to all aquarium exhibits. Seafood offerings like crayfish, seafood jambalaya and shrimp po boys are the menu highlights of the food for purchase. The 11th annual Chicago Latin Jazz Fest unfolds July 14-16, 2017 at two locations, Humboldt Park and Navy Pier. This year&apos;s fest focuses on the 100th birthday anniversary of jazz icon Dizzy Gillespie who is credited as one of the creator&apos;s of Latin jazz. 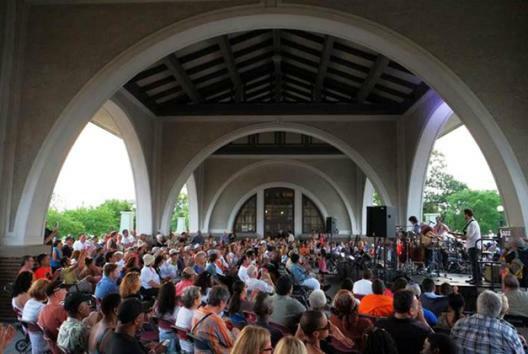 Latin jazz musicians from Puerto Rico, Cuba, Panama,Canada and Mexico will join Chicago artists for this free concert series. Performances are in Humboldt Park on July 14 from 6:30pm-9pm, 1:30pm-8pm on July 15 and at Navy Pier on July 16 from 3pm-5pm. Find more events this month on our featured Best July Festivals guide, browse all hot happenings by month on the 2017 Festivals & Events Guide, or find other freebies just for July on the blog.